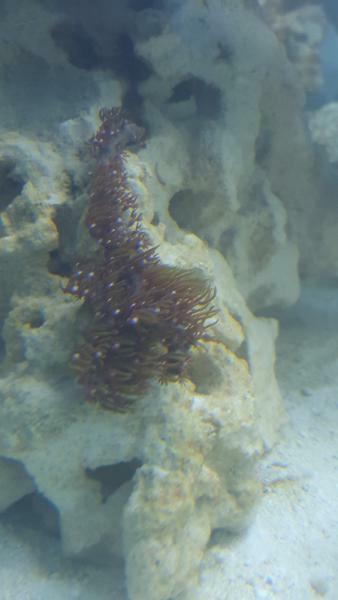 Hi, Welcome to my first reef! Attached you'll see (hopefully) pictures of where I'm at so far. 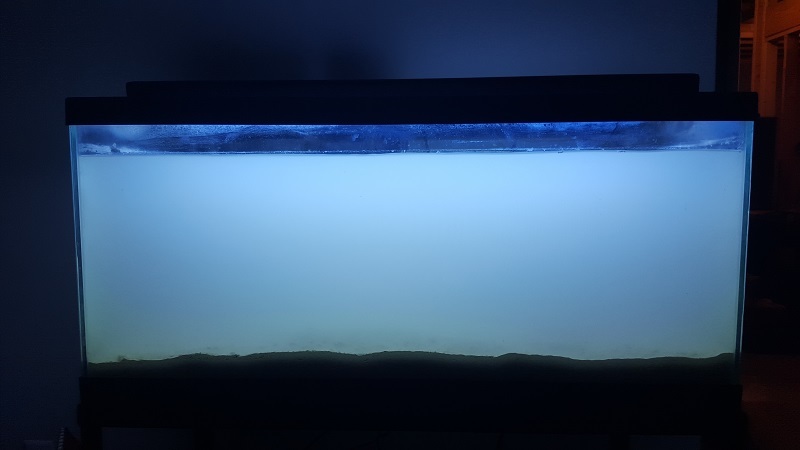 The clearer water picture is about 3 days after I put water and sand in. 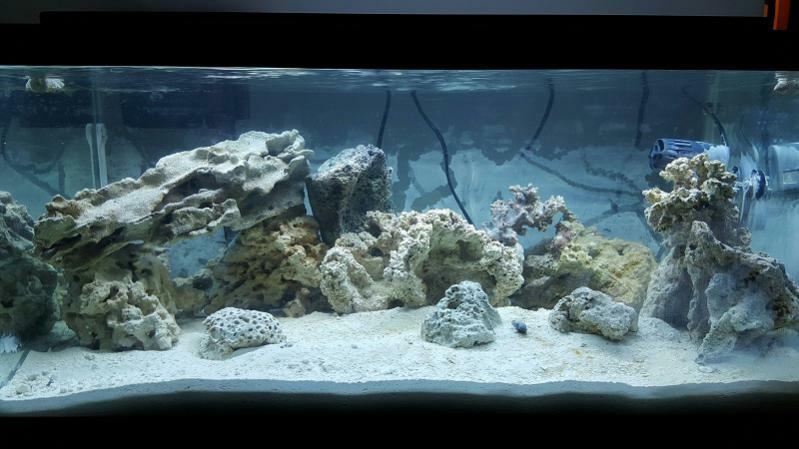 80 lbs of Ocean Direct Caribean Live sand and about 10 lbs of live rock. The more cloudy picture is after I raked the sand to level it out some once I was able to see that it needed leveled lol. So I'm guessing I'll have a couple/few days again to let everything settle before I start to arrange the dry rock mixed in with the live rock. Until then...happy fish keeping! Oh...still working on all the equipment. But it currently has a maxi-jet 400, Marineland heater rated for a 55g and a 2 bulb Solarmax T5HO light. However, I will be upgrading the light to a 4 bulb Coralife T5HO unit withing a week and a half or so. The skimmer will be added a little later as well. 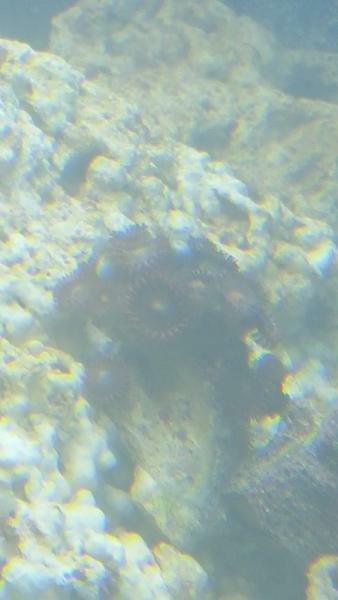 I've been taught by the best to be patient and take a saltwater/reef build slow...so...slow it is. The cloudiness has diminished enough for me to put the rest of my rock in. I'm sure I'll be moving it around once everything settles. 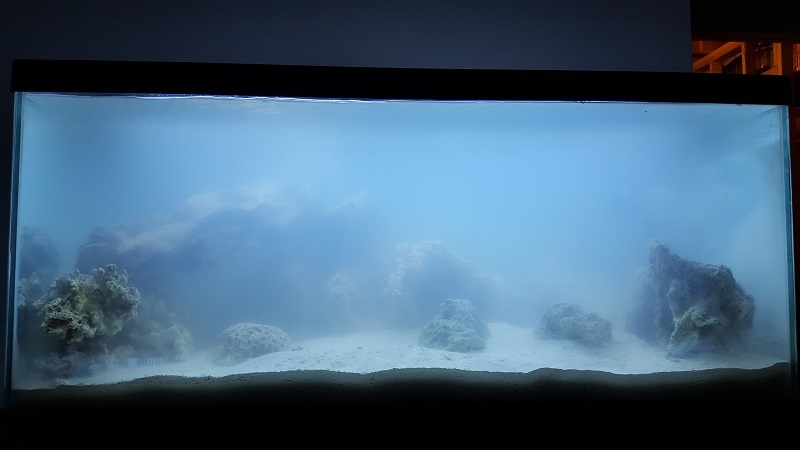 It's kind of tricky with a 40b size tank when you are planning on setting up a reef. Not alot of room to go "up". So I'll be tinkering a bit. At this point I just wanted all the rock in to begin seeding/curing. Last edited by LouisvilleMarc; 11-13-2015 at 03:33 PM. Just a couple pictures to update the progress. 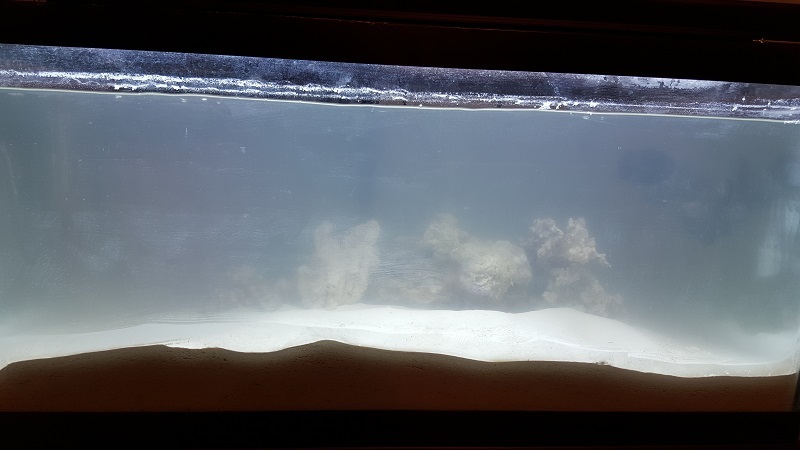 Water and sand have been in for about 2 weeks. Rock in for just over 1 week. Signs of a Diatom bloom are present with some color showing on the sand. 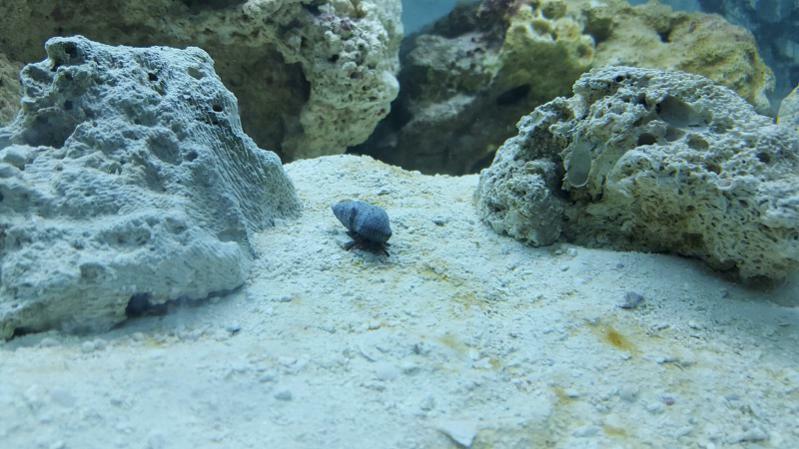 As you can see, one of my crabs is happy about it as he follows the trail. Saw this tank in person yesterday... looking great!